Mr. Gilliland also maintains a criminal defense practice representing high profile criminal defendants. He negotiated immunity for the human resources director of the government contractor that was convicted of bribing then U.S. Congressman Randy “Duke” Cunningham in the largest congressional bribery case in United States history, obtained a not guilty verdict on 21 counts for two former Emmy Award winning producers in a massive Ponzi scheme after a two month trial before the Hon. Napoleon Jones in the U.S. District Court for the Southern District of California, negotiated a time-served deal in the first degree murder case against the grand-nephew of former Philippine Presidents Benigno and Corazon Aquino after his arrest which resulted from an episode on America’s Most Wanted, obtained a misdemeanor deal in a two-count felony assault with a deadly weapon case against the former National League Most Valuable Player and World Series Champion Kevin Mitchell, helped persuade the district attorney not to file charges against The Discovery Channel reality television personality Tommy “Gipsy” Quinn from The Devil’s Ride, negotiated immunity for a funds processor in the 20 million dollar federal case against on-line poker in Manhattan, New York, hung the jury 6-6 in a sexual battery case against a Nazarene minister in Riverside County and tried the Iraqi hate-crime/murder case in El Cajon, California of Kassim Alhimidi. Mr. Gilliland received his Bachelor of Arts degree in English from the University of Washington in Seattle, Washington in 1985. He attended law school at the University of Oregon School of Law in Eugene, Oregon where he was an associate editor for the Oregon Law Review and teaching assistant in personal injury law. Mr. Gilliland received his Juris Doctorate (law degree) from the University of Oregon in 1990. Mr. Gilliland received a Master of Laws degree (LL.M.) in 1991 from the University of San Diego School of Law. 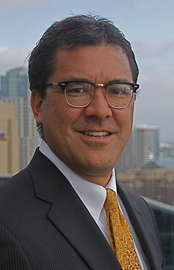 Mr. Gilliland was admitted to practice law before all courts of the state of California in 1991. Mr. Gilliland was admitted to practice law in the United States District Court for the Southern District of California in December 1991, the Eastern District of California in June 2001, the United States Court of Appeals for the Ninth Circuit in September 2001 and the United States Supreme Court in May 2002. Mr. Gilliland was granted permission to practice law in the Eastern District of Louisiana in 2008 for purposes of the Vioxx mass tort litigation. Mr. Gilliland has had several court of appeal decisions published by the United States Court of Appeals for the Ninth Circuit and California Court of Appeal, Second District, Division Three and Fourth District, Division One. These decisions are reported at Lee v. FBI, 363 F.3d 931 (9th Cir. 2004) cert. denied, 546 U.S. 1214 (2005); Butler v. San Diego District Attorneys, 370 F.3d 956 (9th Cir. 2004); Duffens v. Valenti International (2008) 161 Cal.App.4th 434; Leonte v. ACS State and Local Solutions, Inc. (2004) 123 Cal.App.4th 521.